Researchers are now in a race against time to study the 2,246 square-mile area before it begins to change. 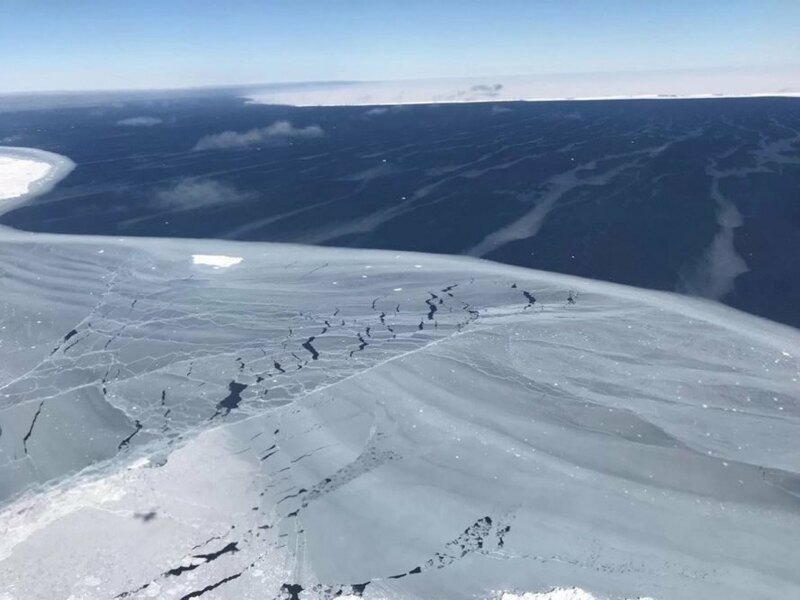 “The calving of [iceberg] A-68 [from the Larsen C Ice Shelf] provides us with a unique opportunity to study marine life as it responds to a dramatic environmental change,” said Kkatrin Linse of the British Antarctica Survey (BAS) in a statement. “It’s important we get there quickly before the undersea environment changes as sunlight enters the water and new species begin to colonize.” Two previous efforts to explore newly exposed Antarctic ecosystems in 1995 and 2002 yielded little in terms of studied life. However, both efforts took five to 12 years after an iceberg’s break before studying the area up close. By then, organisms had begun to occupy space in the newly open habitat. Greg, you realize that the Antarctic has had massive ice accumulations in the last 10 years, right? Have you studied the empirical evidence? 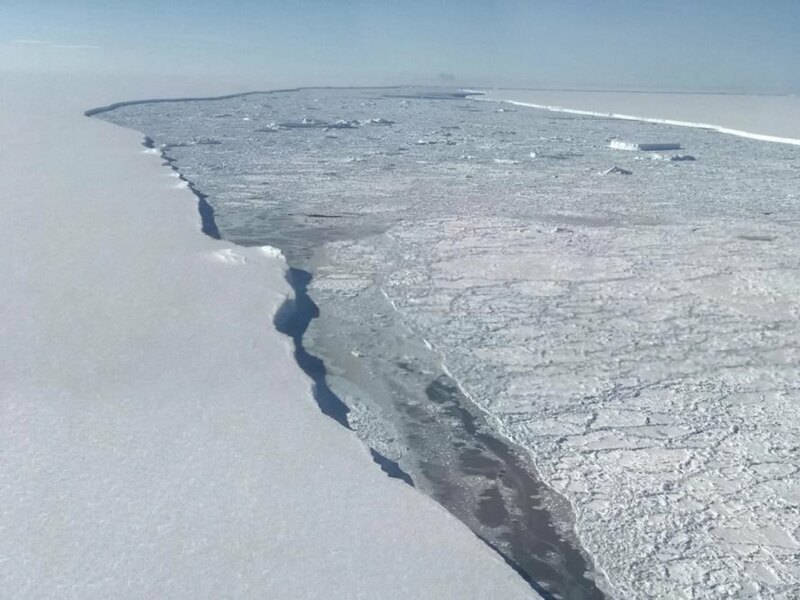 The gap between the Larsen C ice shelf and iceberg A68, only months after breaking away. An eroded area of the Larsen C Ice Shelf.